We never think it’s going to happen to us – the flood, the fire, the hurricane, the tornado – we just assume that we’ll never be touched by disaster. When the emergency comes, we can’t find our cats, or they won’t climb into the carrier, or they won’t come when called. Sadly, this is why cats are so often left behind in disasters – any many of them are never reunited with their families after a disaster ends. 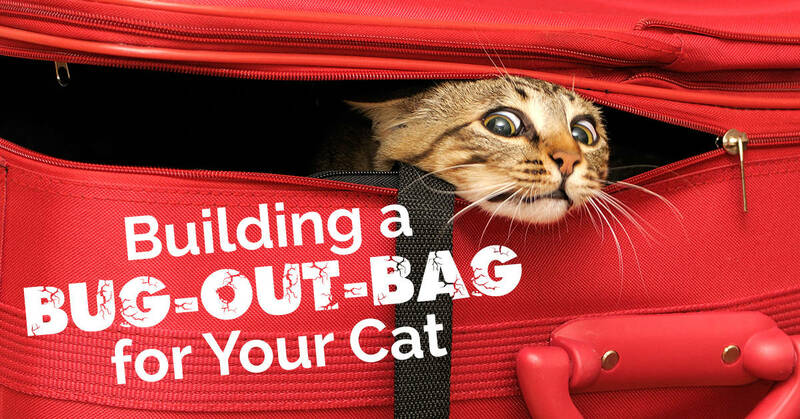 Creating a bug-out-bag and training your cat to easily get into a carrier are important parts of being a prepared cat owner. 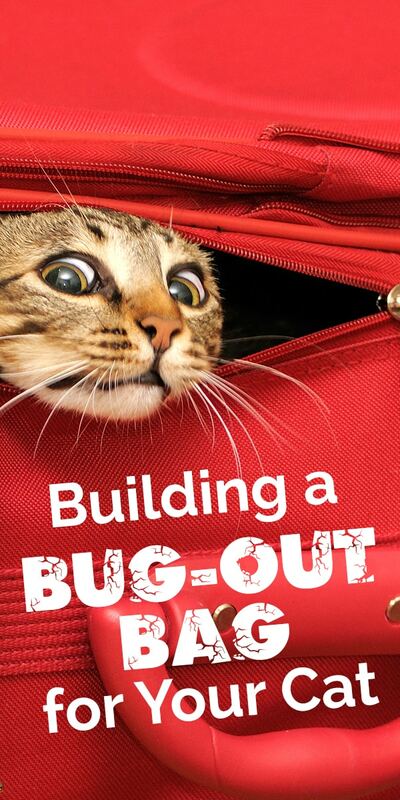 Let’s explore the best way to create a bug-out-bag for your cat. A bug-out-bag contains everything you need to evacuate and survive for three days. Each species has varied needs and it’s important to create a bug-out-bag for yourself and each of your pets. A cat’s bug-out-bag begins with a carrier. Everything your cat needs can be placed inside of a portable cat kennel. Ideally, you want the carrier to be hard-sided since that’s the size that can be stacked and also act as living quarters for a few days if necessary. The carrier should be light enough to carry, but sturdy enough to keep your cat contained. Cats may not drink as much as they should. This is largely due to their history as a desert animal. However, it’s important to encourage your cat to drink and to check frequently for dehydration. 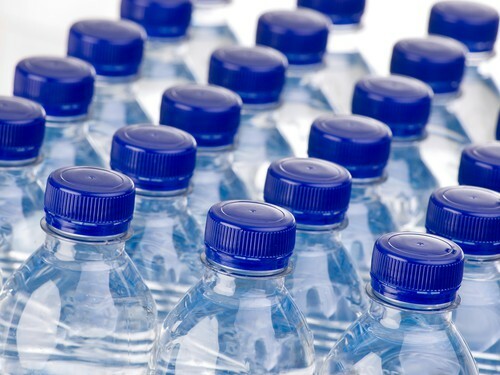 Plan on carrying ½ – 1 ounce of water per pound of bodyweight. So, for example, a 10-pound cat would require 5-10 ounces of water per day. Be sure you take into consideration how much your cat drinks in the course of a normal day. Although cans are heavier than a dehydrated or dry food, it’s important to bring a few along. 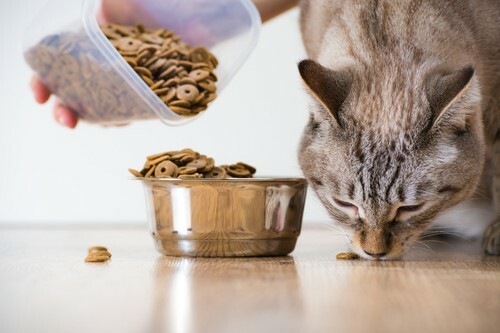 Cats prefer to get their water requirement from their food, and even the calmest of cats will refuse to eat in an emergency. Take along the smelliest, most tempting cans of cat food you can find. You want to make sure your cat eats. Also, pack a 3-day supply of whatever food your cat is used to eating. Keep it in a sealed, air-tight container so it stays fresh, and remember to change out this supply from time to time so it doesn’t go stale. Remember to pack away a 3-day supply (in its original bottle) if your cat is on any medication. Store this in an airtight bag along with a copy of your cat’s medical records. Kitty cleaning wipes are useful for cleaning up quick messes and preventing infection from scratches. It’s very important to keep a copy of your cat’s records on you and also on the carrier. These documents will help rescuers care for your cat if you’re separated and help you claim your cat when you find her again. Store in a sealed plastic bag and attach to the inside of the carrier. Be sure to include vaccination records and any medical concerns or prescription medication your pet is on. In addition to the paperwork mentioned, you should have at least two emergency contacts with the records. This will help get your cat to a safe home if you are incapacitated in any way. These will be needed for food and water. Collapsible silicone bowls take up much less room and are generally more lightweight. 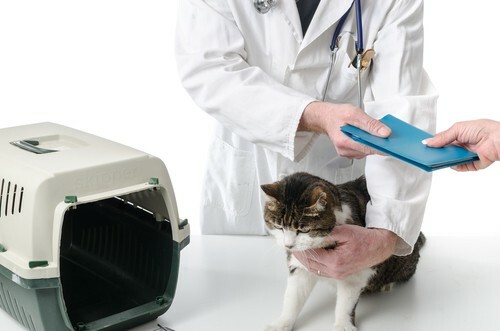 Since your cat may need to spend a few days in his or her kennel, it’s important to have a litter box available. There are a number of lightweight, pre-filled, disposable litter boxes that are easy to carry in a backpack. Be sure you have at least one of these boxes available. There will be times that you’ll need to take your cat out of their kennel and you will need to have control over your pet during these times. A sturdy walking jacket or harness can help. 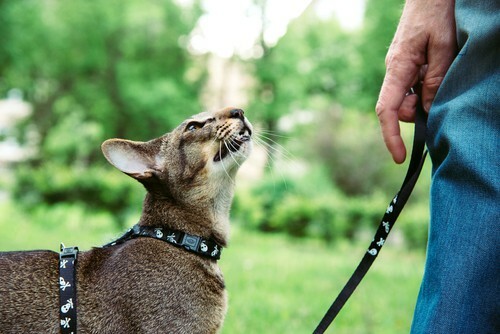 Be sure you practice with your cat on how to walk on a leash before there is an emergency. 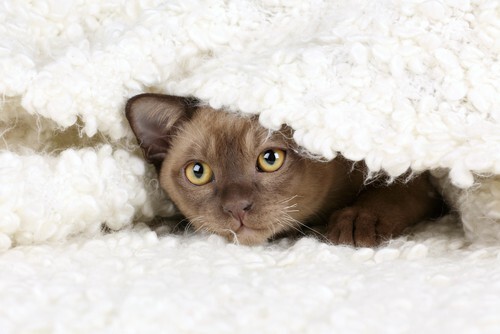 If you’re away from home in an emergency, your cat will no doubt be stressed out. So, it’s a good idea to have a few of your cat’s favorite things – some of his reminders of home – packed in the bug-out-bag to help comfort him. Favorite toys, a soft blanket, and yummy treats will be appreciated by your furriest family member. Our pets are family, so be sure you take appropriate measures to protect them in the event of an emergency. Having a bug-out-bag ready to go will be one less thing you’ll need to worry about! Have you ever had to evacuate with your pets? Tell us about your experience with a comment below.